It’s a beautiful winter morning. The sun is up, the forecast calls for 27 degrees, and the trail report shows everything from here to there was groomed by last night’s crew. You’re already looking up today’s wax recommendation, and deciding which skis will be perfect for the snow from Tuesday’s storm. Your next move is to get this day started with your ritual cup of coffee. You hit the kitchen and dump some coffee in the filter, fill the water from the kitchen sink, and press go on your electric brewer. It’s time to pray. Is today’s cup going to be a good one? Have you used the right proportion of “that seems right” and “heck if I know”? Let’s keep this Nordic skier daydream on track! You already have the skills it takes to be pro on the trails, so let’s apply those same tricks to brewing a pro cup of coffee that will start the day off with an early victory. Nordic: You know that the quality of your gear matters. Good quality skis, fitted to your body height, weight, and skiing aspirations might help you bump up a wave in the Boulder Mountain Tour. If you’re rocking the random 90’s gear you got from your brother-in-law’s garage purge, it’s probably doing you no favors. Coffee: Your coffee selection counts! Coffee is not just coffee. Beans range from bad to amazing. Specialty grade coffee is the top grade, and only about 10 percent of the world’s production. Within this grade there’s still great and so-so. That’s where your roaster comes in; taking the time to sample roast and taste different coffees, then only selecting the great stuff. Once you select a coffee that matches your desires, buy it fresh. Coffee stays freshest for about two weeks from its roasting date, so buy what you can enjoy in that time frame. If you buy old coffee, you can’t expect it to knock your socks off no matter where it comes from. Nordic: Your ski bases need to be protected from the elements, so whether it’s summer storage, traveling to a race, or in-between sessions, you always have those thirsty skis covered in wax to keep them from drying out, and protected from damage. Coffee: Taking care of your fresh coffee is just as important. 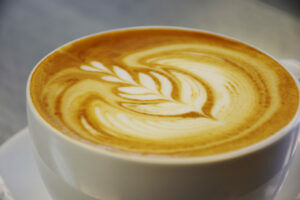 Light, air, moisture, and heat are coffee’s enemies, so you want to keep those away. Store your daily supply at room temperature in an airtight, opaque container. Yes, right on your countertop or pantry. Never store your daily supplies in the refrigerator or freezer. If you’ve purchased more fresh coffee than you can consume in two weeks, the freezer can be an option. In that case, you can place the fresh coffee in an airtight container in the freezer for up to a month. The trip to the freezer is only a one-time event, so once you’re ready to consume it, remove the entire amount from freezer and use and store at room temperature as usual. If your coffee comes in a foil bag with a one-way degassing valve, that’s a great way to store your coffee. Just be sure to roll and secure the top between use to keep away its enemies. Nordic: Depending on the snow conditions you plan to use your skis for, you can select a grind for the bases that will make them zippy fast. The skis you pick from your arsenal on a cold, dry day will have a fine texture, and that wet, spring snow will beg for a big, deep-rilled texture. Coffee: The coffee grind should also match the conditions (meaning the coffee brew method). You want a fine grind for short brew cycles (like espresso machines), a medium grind for longer brew cycles (like drip machines), and a coarser grind for immersion brew (like press pots). The best type of grinder to use is a burr grinder, as it produces the most consistent and exact grind. Only grind what you need, right before brewing. 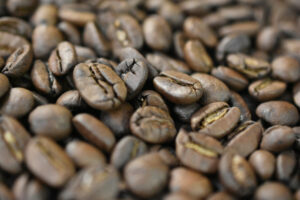 The minute you grind your coffee, the aromas and oils, trapped in the beans under pressure, are released. You want to brew right away to get all those flavors in your cup. Purchasing pre-ground coffee, whether in a bag, can or pod, is not recommended, but sometimes the convenience might outweigh the loss of flavor. Nordic: You pick a wax plan based on the temperature, and texture of the day’s snow. If you throw on the Toko Yellow when it’s six degrees out, that will probably send you back to the hut in defeat before the 2k mark. Coffee: Water temperatures for any brew method should fall between 195-205F, so it’s important that your machine can produce these consistent temperatures from start to finish. If brewing with a manual method like pour over or press, note your area’s boiling temperature and go from there. (For example, sea level water boils at 212F, while Ketchum, Idaho water boils at 203F). Always brew using fresh, clean, filtered water. If the water you use tastes like old tires, so will your coffee. Nordic: That grooming report has pointed you to the best trail, and the skis are buffed to perfection with today’s wax. All there is left to do is get out there and enjoy it! You relish in the feeling as you glide along the trail, taking in every uphill challenge, and every downhill reward. Yes, please. Coffee: Pour that brewed coffee into a pre-warmed mug and get ready for giggles as you sip while it’s fresh and hot. Keep enjoying the flavors of each coffee origin as they change during the cooling process. Yum and yum. Sometimes even with the best skill and preparation things don’t go as expected, so it’s a pretty good rule to avoid taking yourself too seriously on the trail or in your kitchen. If it didn’t work out this time, no worries! You can learn from the experience and adjust next time. And really, no matter the weather, the wax, or what ends up in the cup, you know the best days are the ones that you get to ski alongside your friends, or sit together to share a giggle over coffee. Liz Roquet is the owner and roaster at Lizzy’s Fresh Coffee in Ketchum, Idaho, a long-time sponsor of the Boulder Mountain Tour. Find more coffee tips and info about their nationwide shipping and coffee bar at www.lizzysfreshcoffee.com. Lizzy’s is located at 410 10th Street, A-3 in Ketchum.